Dates & Places: 14th – 19th August, Pyrenees mountains, Spain. This is a two days conference for online working digital professionals and entrepreneurs from all over the world where you will be able to learn from 10 Keynote speakers, 20 workshops & Masterminds that will gather over 500 people. Dates & Places: 22nd & 23rd of September 2018, Lisbon, Portugal. You’ll meet other long-term nomads, hear amazing speakers, attend panels and Q&A sessions, have parties and find volunteer opportunities. Dates & Places: from 16th to the 23rd of October, 2018 at Medellín, Colombia. Remote Year was the first to offer organized remote trips since 2015 with a 12 months itinerary in 12 countries. They selected 75 people in their first edition among 25,000 applications that they received. Remote Year Curie. Starts: September 30, 2018. 12 months. Lisbon, Split, Prague, Marrakesh, Hanoi, Chiang Mai, Kyoto, Kuala Lumpur, Santiago, Lima, Medellín, Mexico. Remote Year Bourdain. Starts: December 30, 2018, 12 months. Lima, Medellín, Santiago, Mexico City, Hanoi, Chiang Mai, Kyoto, Kuala Lumpur, Split, Lisbon, Valencia, Cape Town. Remote Year Kuungana. Starts: December 30, 2018, 4 months. Cape Town, Marrakesh, Lisbon, Valencia. You can take a look at all the information on their site: Remote Year. 29th July – 8th September: Playa Del Carmen, Mexico. 9th September – 3rd November: Buenos Aires, Argentina. 4th November – 15th December: Montevideo, Uruguay. 29th July – 8th September: Seoul, South Korea. 21st October – 15th December: Canggu & Ubud, Bali. 9th September – 20th October: Split, Croatia. 21st October – 15th December: Cape Town, South Africa. October 2018: Mexico City, Mexico. October-November: Cape Town, South Africa. 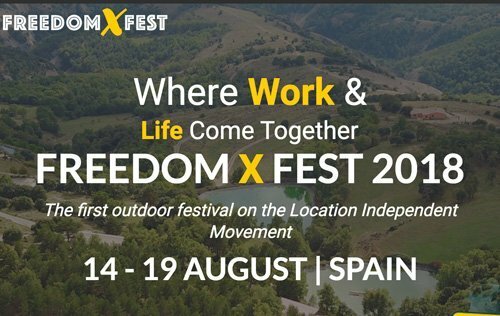 Coworkation Spain: Entrepreneurs & Freelancers Retreat, Freedom X Fest and Become A Digital Nomad Retreat in August. 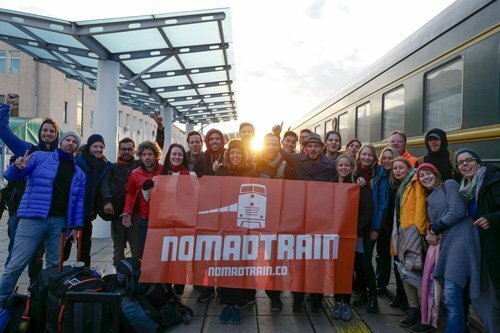 Take the Trans-Siberian Railway to travel from Moscow to Ulaanbaatar, Mongolia’s capital and largest city with like-minded digital nomads. You will pass by amazing cities and surely have a time of your life! Dates: from 12nd to the 26th of September, 2018. 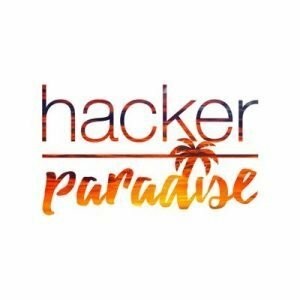 During this camp, you will be able to join over 150 digital nomads for activities, talks, and meetups in the wonderful Canary Islands. This event is a fantastic opportunity to share and do networking with other like-minded people while you are visiting the beautiful town of Las Palmas de Gran Canarias. Dates & Places: Las Palmas, Gran Canaria Island: from 8th to the 14th of October, 2018. Buy your tickets here! And Subscribe to our newsletter and get a discount! If you are a fan of cruises, you can join other digital nomads to cross the Atlantic in the Nomad Cruise. Departing from Barcelona on November 19th, the cruise will stop in Alicante, Tenerife and Cape Verde before making the final passage across the Atlantic Ocean to Brazil. Place: From Barcelona, Spain to Recife, Brazil. Dates: from 19th of November to the 1st of December, 2018. Want to take a look at more digital nomads and remote work events? Check out our remote events section! Going on a cruise sounds super interesting! Before becoming a digital nomad, I worked on cruise ships for 5 years, I am wondering how is the internet connection in this type of cruises. Last time I was on a cruise was in 2016 and the internet is really bad!